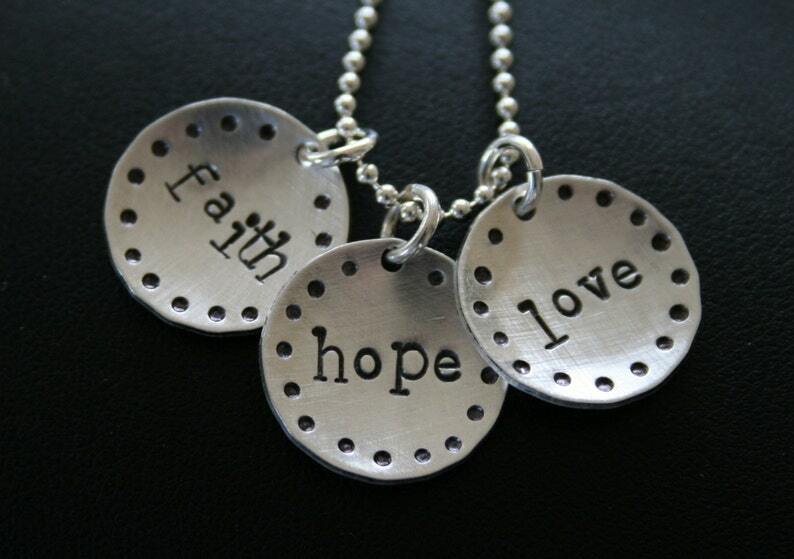 Faith, Hope, and Love says it all. This listing is for 3 round discs and an 18" sterling silver chain of choice. Remember to make a note of what chain you would like.